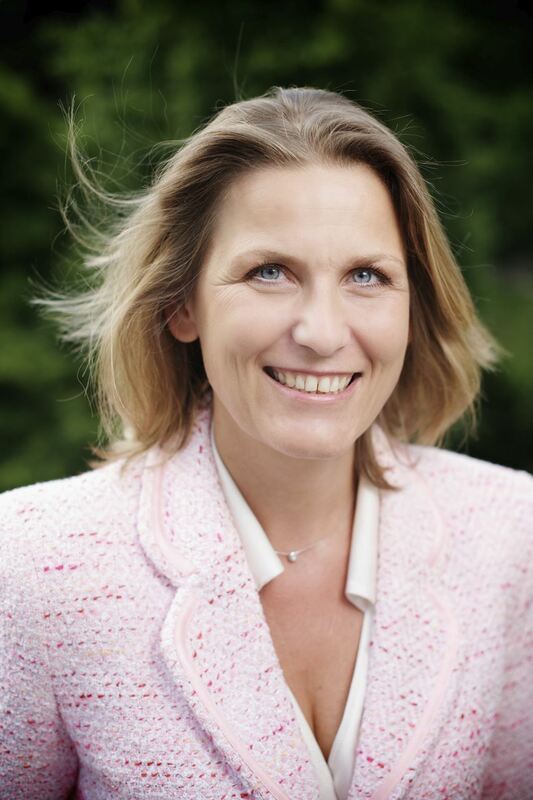 Brigitte is Senior Vice President Human Resources Development and Performance for the France Telecom Orange Group. She combines a vast experience in human resources with a strong background in marketing, and communications in an international environment. The initiatives she has led in Orange have determined an evolution in the thinking of gender issues and contribute to increase the number of women in leadership positions in the telecommunications and IT sector. The plans for 2010 are even bolder as France Telecom aims to change the way young women pursue their career paths by helping them through mentoring actions and with a better understanding of their work-life balance expectations. What led you to the top leadership position you are holding today? I discovered the world of human resources thanks to one of my managers. He decided to take a bet on me based on my previous experience in marketing and communications. He asked me to become the Human Resources & Communications Director in the international division where there were many expats, but who were experiencing blockages in their work and career paths when they came back from international. As I was already familiar with the ins and outs of how relations evolve in the international marketing environment, he was confident I would be able to overcome these challenges and address the needs and concerns of these employees. So I relied on my know-how in marketing and communications, where it is essential to understand the context, the employee's needs, and the stakeholders, in shaping our human resource policies. From your experience in human resources, have you observed a change in the roles women hold in organizations? When I joined human resources, I had more women than men in my network, but the top positions were basically a male enclave. At Orange, we accompany the managers to rethink their attitudes toward equal gender opportunities. For high level positions, for instance, the Executive Vice-President Group HR asks for a gender balanced shortlist from the managers so as to bring more women into top positions and make our teams more diverse and more efficient. We also decided to eliminate those criteria which discriminated women having left for a parental leave such as the dogma saying that top talents should be under 35 years of age. So far, the strategy is going paying off as we now have more women in leadership positions than we did a decade ago. What other practices have you developed to enable women to step up in decision-making positions? We have created a mentoring framework for women with high potential as well as an environment where women can build new connections, both within and outside the company. The goal now is to make them more efficient, but there is openness toward using these platforms that we can build on. We also offer them the access to some professional women networks. As a matter of fact, in 2010 we plan to create an e-mentoring platform where women outside our company will be invited to participate in a cross-mentoring platform between companies. Why is it important for Orange to set up networking tools for women? First, women represent approx. half of our customers, 70% of purchasing decision on our consumer market and in order to respond to their needs we need to better know them. If women are equally involved in the decision-making process, we can ensure that our products and services will respond to all of our customers' needs. Second, technical teams should bring innovative products and services and it is a simple fact that the more diverse a team is, the more innovative it will be. At present, ensuring gender diversity is a priority across all Orange Group. After we develop the full range of tools such as networking, mentoring, equal career opportunities, each company will have to take gender balance into their own hands and adapt these tools to their cultural background. What incentives should industry and policy makers put in place for greater participation of young people in technical sectors? What is Orange doing in this direction? The issue is mainly due to stereotypes and communication actions targeting teachers, parents and girls should be promoted. In this field, we contributed to design with 4 other prominent companies the "Code of Best Practices for Women and ICT" launched by the EU Commission. In light of this initiative, Orange has enabled young girls to meet with our engineers so as to get an insight into what tech careers involve. We also work with engineer schools to help female students find the recipes for their future careers (H/F management). To identify those actions which should be prioritized, we conducted some surveys and sponsored others. We have also built upon the "training tax" (taxe d'apprentissage) in France. One of its objectives is to have employers contribute to the financing of technical and professional studies by deciding for a part of the total amount of this tax where it is allotted. Beyond simply looking at this, we decided to ask engineering schools to present us their efforts in promoting scientific studies to girls and adapt the amount of this tax to the schools making the most efforts to attract women. While it is too early to say whether this is an efficient tool, we have noticed increased awareness of the issue among their directors. I also think that policies aimed at promoting ambassadors of technical fields, marketing or IT&C with young people should be followed, either by companies or governments if we want to expand the pool of technology graduates. What are the top 3 recommendations you would give to a woman at the beginning of her career? One strong piece of advice is to be professional whatever you do and keep building whatever skills and competencies are required in your field. Also, to dare and try to avoid auto-censorship. Besides, if you stay open to all opportunities and curious about pursuing new opportunities this can make your career interesting, challenging and thus successful. Last but not least, having a supportive personal environment is extremely important. If friends and family are there to support you, without any strings attached, this can give you the self confidence you need to grow. WIL interviewed Nathalie Kosciusko-Morizet, during a busy moment of her life, about her ministerial responsibilities in supporting tech-based SMEs and promoting the large array of prospects that this sector offers to young people. A few days after our meeting, on September 23rd, Nathalie Kosciusko-Morizet gave birth to a gorgeous boy named Louis-Abel. We wish all the best to both of them! Her professional path together with the personal responsibilities she holds as a mother make her a strong role model for women who aim for top-leadership positions. 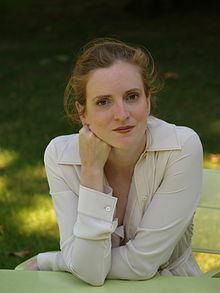 Nathalie Kosciusko-Morizet graduated from one of the best French technical universities, Ecole Polytechnique, where women account for only 10% of all graduates. She started her political career in 2002, when she became a member of the French National Assembly, which she remained until July 2007, focusing on initiatives aimed at increasing environmental protection as well as consumer protection. This hard work earned her the position of State Secretary for Ecology in 2007, a role she held until she was named to her current ministerial position in January 2009. In 2008, Nathalie Kosciusko-Morizet was also elected mayor of Longjumeau and became Secretary General of the UMP party. Last week, Nathalie Kosciusko-Morizet launched her first book -“Tu Viens?”- an insightful essay exploring the technological solutions that lie ahead for a society facing climate threats and of the challenges presented by global governance. In an innovative approach, the French Minister has also launched a website TuViens where internet users are invited to answer the 6 questions tackled in this essay. A compendium of their contributions will become part of a future collaborative essay. Thaima Samman (TS), Senior Director/Associate General Counsel, Corporate Affairs/Corporate Social Responsibility, Microsoft Europe and Cofounder of the WiL Network: Nathalie Kosciusko-Morizet (NKM), thank you very much for welcoming us and for accepting this interview. You are the French Digital Minister in charge of information technology (IT) and its different aspects, and you are a woman. It is great for us to have you explain a few things in the current economic and political context and from the point of view of women in society today, so thank you very much. My first question is for you to comment on the current economic crisis and organisation. We know that small and medium enterprises are key to economic development. As Digital Minister, do you have any specific plans or ideas to promote entrepreneurship in France and Europe? Do you have a specific policy that will encourage women to create enterprises, generally speaking, and in the IT sector as well? NKM: We have plans to promote entrepreneurship in France, generally and specifically for IT. Generally, these are tax cuts and the simplification of the process around creating a company – simplification, as far as administrative constraints are concerned. For example, we now have a new status by which it is very easy to create your own small company. You can do that on the internet and you will benefit from tax cuts in the first years. We also have specific programmes for IT companies. Some of them are dedicated to certain sectors – for example, we have programmes for video games – but some of them are temporary, and are just an opportunity to highlight parts of the IT sector. Currently, we are doing something around Web 2.0 start-ups and something with serious gaming. We are working to do more. One idea is to create a specific fund dedicated to small IT companies – a specific wall of investment to help companies grow quickly. They need money at this time. TS: The second question is more related to women. This is an issue that affects both US and Europe, all of the developed world, which is the lack of appetite for science and technology courses in this part of the world, which may lead to a lack of engineers, scientists and technicians in the future. In the Western world today, only 22% of students embark on science and technology courses, of which only 22% are female. Is this something you are concerned about as IT Minister; i.e. the general lack of scientific students? Do you have a specific policy addressing women? On the female aspect, our American colleagues are also particularly interested in your view, as France is well known for having the best engineering schools in the world. You know that. Do you have any specific policies to encourage ambition in this area? Do you have a specific policy for women? NKM: This is a major issue. The problem is that fewer students are interested in the sciences in general and, among them, there are not enough girls. This is not a new issue. For decades, girls have been less interested in scientific studies. It has always been a problem. When I was a student in an engineering school, 10% of students were girls. We have put in place a lot of programmes, like other countries, to develop awareness of this problem, at least, and to help girls consider opportunities. One of the problems is cultural: the vision people have of girls discourages them from science. Therefore we have developed programmes like ‘La main à la pâte’, with Georges Charpak, the Nobel laureate. There are 30 countries interested in these same kinds of programme and we have exchanges with them. This is not specifically intended for girls but to interest young people in sciences and the concrete benefits of science. We also have programmes for social reasons, around people who would not enter into higher studies and may not choose sciences. In this programme, we have a special focus on girls and people, who for social reasons – because they have immigrated into our society or because they live in certain areas – do not embark on these types of studies. Both programmes are growing increasingly strong and we are working on that. In my view, the main chance for girls’ place, as far as IT is concerned, is this new trend for the increasing importance of service users. I want to explain myself: historically, the IT business was based on technology, which mainly involved boys. Startups were funded by programmers. Those businesses were led by technology, by engineers. Increasingly, values are migrating towards users. This is not as much about technology – ‘I have found a new technology and want to do something with it.’ This is more about having an idea about a service that can be supplied with IT startups. This new and growing approach in the IT sector gives a lot more room to women. This new trend in the IT sector around services and the usage of IT is much more open to women. I read with great interest an American book called Why Women Mean Business, which I understand has become a bestseller in the US. New trends are about the woman’s view on the world and life, which is becoming increasingly important in business. This means companies need to have women within the company. This is also a message for women: you mean something for companies. Your value is growing so take advantage of it. TS: Just for the interview, the author of this book is a member of our network. You addressed my next question, which was from our American colleagues, on the importance of diversity, innovation and IT development. This is another question from our American colleagues, who wonder what you think about the transatlantic relationship, in particular in the IT sector but also more generally. Do you think IT has advanced the relationship between the two continents or otherwise? How can we work together more to advance economic growth? NKM: In my view, IT is about relationships. People who are not very involved in IT have false views about this. For example, they think that the internet is for lonely people sat in front of their computer, with no relationships. This is wrong. The internet is about creating relationships and we can see that now with what is happening in terms of social networks. The development of IT is creating relationships around the world and strengthening traditional relationships. This is, however, also a challenge, because it means that we have to structure and create an architecture for this new world, which does not exist today. Next year will be the occasion for us to challenge this view and develop common answers to common challenges, like the management of personal data on the internet and cyber security. All sorts of new global challenges are emerging from the IT sector, and we are now very much at a turning point. The question is whether those challenges will unite us and create a common momentum and desire to face them, or whether they will divide us. They could divide us if there is an issue around a balance of power, in terms of taking the lead on the internet or a desire to keep one’s own leadership and sovereignty, when the system is changing. TS: Thank you very much. The last question is a more personal one. You are clearly a role model. A Minister, you studied at a famous engineering school in France. You have the highest responsibility possible in your career, and it will probably continue. You have a family and will have children very soon. Do you have any specific advice to give to a young girl today? What three recommendations would you make? What does it take to have it all? NKM: Women often come to me via the internet or by mail to ask advice. Some of them are interested in politics but are not sure whether it is a good moment. In general, my main advice is not to give anything up. If you want to do it, do it now. If you want to have a family, do it now. Do not give up anything because, all the ideas you might have about family first and career second, or career first and family second, can lead to problems. If you choose career first and then family, you will start a family when you are 40, which is more difficult. If you start a family and then go into politics, you cannot do that, because men have a 20 year lead on you. My main advice is to do whatever you want to do, right now. Do not give anything up. If you want various things, you can manage to do them all. I am not saying it is easy; I am saying that, if you give something up, you might regret it. If you try to do everything, you might only do half, but you can manage it. TS: Thank you very much. I could not agree more. 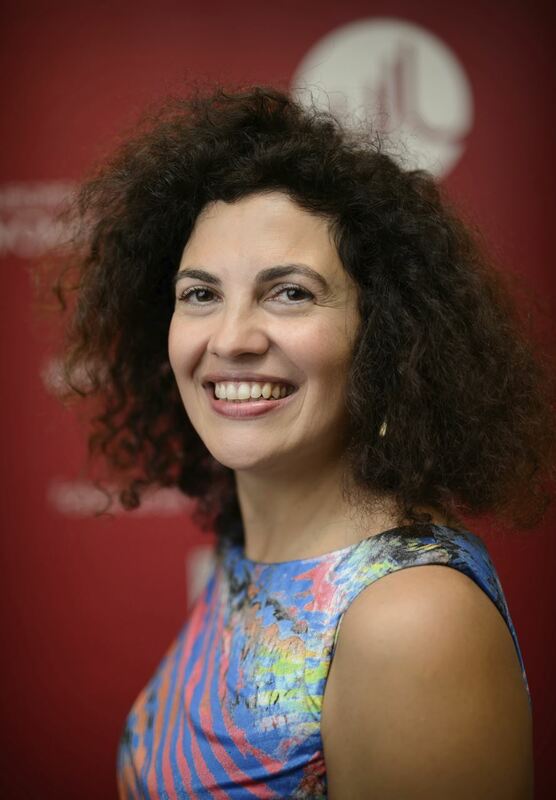 Béatrice de Clermont Tonnerre is shaping the digital industry from her position as head of Business Development at Lagardère, a French Media conglomerate, and as member of the board of Lagardère’s digital companies. Béatrice graduated from the Institute of Political Studies in Paris, but pursued a career in the media and high-tech industry, being one of the first media leaders to sign IPTV programme deals in France. She also has an MBA from the Ecole Supérieure des Sciences Economiques et Commerciales and besides her work, she sits on the Board of French American Cultural Exchange (FACE), a foundation promoting contemporary art in the US and France. How did you get started? What took you to where you are today? I thought I would be a journalist, but then I had to pay for my studies. I joined Lagardère at an interesting time, when the European high tech industry was consolidating and Lagardère was a key player in it. Then the group shifted its investments to its fully controlled media businesses and high growth sectors such as digital and sports rights. There was so much work to do that even at junior levels one could contribute to very stimulating projects. How have you changed or how has the work environment for women changed since you first started working? All types of remote access to the work environment (for instance broadband internet access, laptop, and smartphone), are helping women. Technology has extended women’s working capacity and helped them bridge the gap between them and men, who receive more help for other aspects of their lives. What management issues are driving your work? The media industry is going through some turbulence in terms of consumer habits and product shifts. The industry is, all at once, consolidating its value proposition around brands, becoming IT-oriented and testing many different ways of generating cash through digital growth. One of the key issues in management is to integrate digital teams to fuel in growth and improved profitability. Getting key talent interested in the challenge and building a sustainable digital transformation within a highly competitive environment is forcing us to review our management skills around transparency, reactivity and clear strategic goals. How can women be encouraged to take leadership roles? Setting examples is the most efficient way. If you give women senior management positions and allow them to take chances, it opens the way. Being keen in the morning to get through the day ahead, and feeling that, day after day, you're contributing to something significant for yourself, your family and your community as a working person and citizen. I'm generally quick at adapting to changing environments. Significant industrial achievements are usually the result of good team dynamics. Several times, I have been part of these "dream team" kind of commando dynamics, but I specifically enjoyed inventing concepts to get exclusive IPTV channel deals signed for Canalsatellite with Hollywood Studios. I had to define the network: internet technology in a closed environment, limited piracy risks. In four months I got 80 channel deals signed. But I feel the more significant achievements are ahead. I belong to the transition generation in the industry: trained in old media and comfortable with digital media dynamics. In the coming years I want to use this understanding of long-term industrial processes and to match them with decision-making in a fuzzy environment. Some of our readers are "mentees" - young women at the beginning of their careers. Could you share with them one story that inspired you when setting up new initiatives? In any difficult situation there is a way up. Even when you feel everyone around you is far more experienced and skilled than you, there is something you can do better than others. I started at 23 as a strategy analyst in the high tech sector. I was not an engineer and not that fond of high tech. So I found two ways to get a grip on my work: first, work on extracting useful, replicable organization cases from industry benchmarks; and, second, use my memory to become a kind of living encyclopedia of high tech acronyms in French and English. In the end, my exec summaries caught management attention and I could interact in important meetings. And, lastly, what do you like to do in your spare time? I read all kinds of literature in French, English and Spanish, and recently I went back to fencing. During my holidays, I go mountain hiking. And of course I'm building a huge list of things I'll do when I have time to. 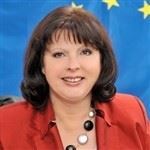 Re-elected Member of the European Parliament, Edit Herczog is a promoter of research and development and e-skills. In the previous legislature, Edit has promoted research and development initiatives by looking at ways to lower the energy use in Europe, to sustain the competitiveness of SMEs and to drive forward the e-skills agenda. Before entering politics in 1998 as a member of the Hungarian National Assembly and before being a delegate at the Council of Europe, Edit has worked both in academic researches and in an international business environment, developing solutions for the food industry. Adding the degrees achieved in engineering, in business management and in language and literature, it is certain that Edit can serve as a role model for many younger women. How did you get started? What got you into politics? I was 24 when the political system changed in all countries in Central and Eastern Europe. It turned out for me that if you want to make responsible decisions for your own life you have to follow and try to influence the changes around you. My values were closer to socialist values and my way to deliver a change way determined, coordinated evolution rather than conflict and revolution. What are the personal achievements you are most proud of? My life is not a rocky hill with tops and downs. It is rather a continuous effort to work for issues that are important to me: energy and telecom package, services directive, Small Business Act, REACH, Lisbon Strategy and the maximization of working places. When I started we were targeting a quota. Today we have to find a new target to get beyond. I am proud that in my party three women led the European Parliament list. It is certainly a socialist value. How can women be encouraged to take leadership roles, particularly in politics? My grandmother gave me a piece of advice for my marriage and this secret works for politics as well: work hard, keep your principles and have fun. These are the success keys for women in politics, too. Work is part of my life as well as my family, my pets, my books and my household. Same rules: work, fun and balance are the keys. Some of our readers are "mentees", young women at the beginning of their careers. Could you share with them whatt had inspired you when starting new initiatives? Firstly, the most important is to learn that yesterday's yourself is your hardest competitor you have to win. Secondly, it is better to be alone with the truth than being with everybody and being wrong. Finally, the help and the added value you received once from someone important in your life you have to give it back to someone else younger. Isabella is an energetic and dedicated entrepreneur. She is currently putting into practice ideas such as JUMP Forum and Women’s Academy that serve to women’s development and contribute to promoting women as leaders in our society. I started as an entrepreneur when I still was at the University. I launched a monthly magazine and would never have thought that it could become a real business with books, fairs, goodie bags... I sold my first company 7 years later and rebuilt others afterwards. I have many projects and a lot of these become companies. One of it is "JUMP: empowering women, advancing the economy" because I wanted to offer medias and services to career-minded women! What did you have to sacrifice to get where you are, if anything? I really LOVE to work. I create my own projects and solutions not as an artist but as an entrepreneur. But the feeling and the passion are the same! I have 3 children and ... had two husbands! Do you really think that I sacrifice something important, even if I'm working 80 hours a week? My children are happy because I am happy. Being satisfied and not feeling guilty enables me to give the best of myself to my children. The only thing that I could do more is taking care of my body by sleeping more, going to the hairdresser, beautician and doing sport. But I'll have time to do that when I am older (perhaps!). How how has the work environment changed since you first started working? The new generations of the labour market are less dedicated. I have a problem by accepting it because my ambition is to change the world thanks to my working force and it is strange to me that not everybody has the same ambition. I have to work a lot on myself! Success is doing the right thing for me at the right moment. This gives a marvelous sensation. Everybody has a "mission" and to fulfill it is the key to happiness. Am I balanced? Certainly not according to the majority of women. Balance has absolutely no importance when you do the right job because you will always have enough energy to give to the others. What advice would you give to someone else starting up her career? Dare!! Whatever you do, do it totally. Do the right thing to you ... only to you! And remember that what is right now, can change several times. Pinnuccia was born in Catania, Italy, in 1967 and graduated with a degree in international politics in 1990. She joined the European Commission one year later. At the end of 2004 Pinuccia joined the cabinet of Commissioner for Education and Culture JanFigel where she was in charge of covers lifelong learning policy and all issues concerning universities, including the Bologna process, the European Institute for Innovation and Technology (EIT) and the Erasmus program. Since May 2009, Pinuccia has been Head of Unit Multilingualism and translation studies in the Directorate-General for Translation. 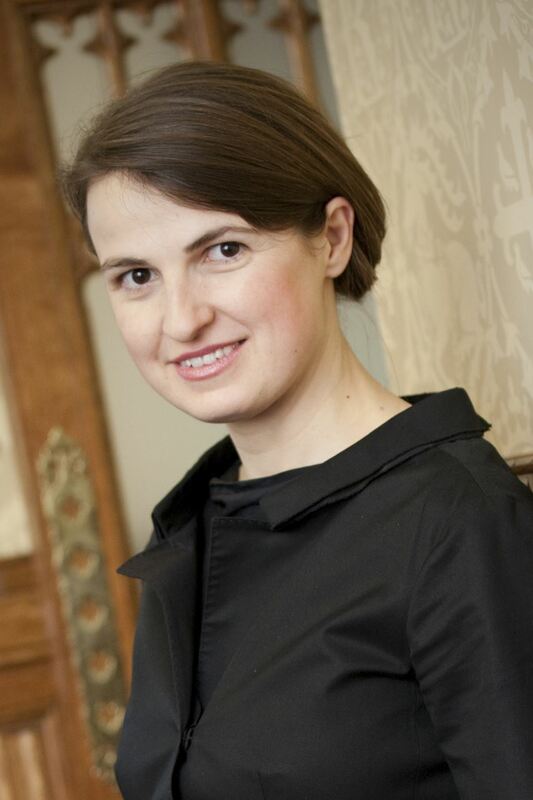 Her mission is to develop an active approach to multilingualism and translation all over the Commission. Being successful to me means being able to realise one's calling in all the aspects of life: a "complete" and balanced person, who has built enriching and sustainable relationships, has a fulfilling professional life and ... has some dreams left till the end of his/her life! Do you have a mentor? If so what role did they play? After my parents, my mentors were some great writers (for instance Proust, Dante and Shakespeare). Since I started my career, I realised how much it was important to have a senior mentor, even though in my case I could count more on a kind of network of wise people than on one or two mentors. That's why I have volunteered as a mentor in the WILT initiative: I believe it can be very useful to young women who are at a turning point in their life and/or career. I started with my "European calling" a long time ago. I was still at school when I came across the (then so-called) "Common Market". I felt attracted by this concept, which involved replacing war and violence with openness, cooperation and mutual understanding. From there on, my strategic (cultural and educational) choices were highly influenced by this perspective. Of course, I also needed determination, hard work and self-confidence - I am not too bad at those ;-). The result was that just after graduating I started working in the Commission - and I have not changed my mind since! The only thing I had to sacrifice was the possibility to live in Italy. When I say that I am Italian, I generally receive a sympathetic look from my interlocutor, who inevitably adds: "Oh, it must be so tough for you here, without sunshine...". I reply that I travel a lot and work so hard that I do not have the time to realise how much sunshine I lack here. So after all it is not such a big sacrifice! How have you changed/ or how has the work environment changed since you first started working? I started working in the Commission in 1991, clearly a lot has changed since. Europe has become more Europe - in the sense that history has put back together the two pieces of the continent. Working in a European Union of 27 Member States is of course more complex than in a Community of 12, as it was the case in 1991 when I started, but at the same time is very challenging. Many will say that the more you get experienced, the less you become enthousiastic: I can tell you that it is not necessarily so, I continue to believe in Europe and I know plenty of excellent colleagues who do the same. I balance work and private life (I have three children) very well, thanks to 1) a wonderful man, my husband, who has no gender bias whatsoever ; 2) a professional climate which has evolved a lot since 1991 and has become more and more sensitive to equal opportunities in the Commission, and 3) my determination to comply fully with my responsibilities both at work and at home. I believe that it is possible. Of course, this means that sometimes you have to make difficult choices, but if your priorities are clear and you have the courage to take (sometimes) tough decisions and stick to them, there is no problem. On the contrary, this will gain you appreciation and respect from the others. Actually I do not have much spare time... The positive side is that I am never bored; on the other side, sometimes I would like a bit more time to read, my favourite treat. I also love cinema and theatre; I never watch TV, but I like good films. Moreover I like travelling, cultural events, sport and restaurants (I love good food, wherever it comes from). 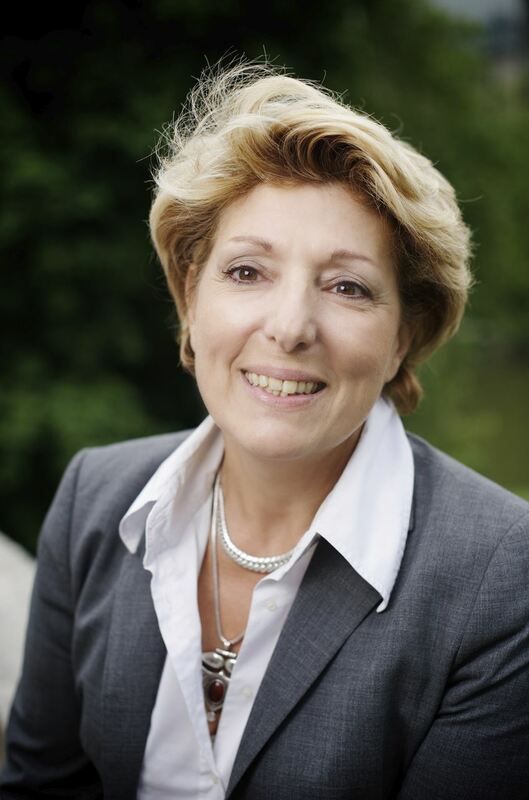 Viviane Chaine-Ribeiro is President of Lefebvre Software company and a leading woman in the area of IT development, being one of the founders of AFDEL, the French Association of Software Editors. I do not want to cry and anything, but I am really convinced that you can't be successful in every domain. It is really difficult to be a wife, a mother and a good professional. Not sure we can succeed on the 3 parts of the day to day components of a woman’s life. My kids and my jobs were the 2 focus of my life up to the days my kids became independent and now I can enjoy my relationship with them without sacrificing my professional part. How have you changed or how has the work environment changed since you first started working? Pressure, speed, communications.... too many things changed in the last 20 years. Under my management, I changed the way my team is looking at a chairman; I changed the way a company is managed by introducing a team goal more than individual goals.How do you define being successful? When your staff, not only your direct reports, recognize you as the manager they're happy to work with, feel being part of a team, are able to explain the company’s strategy (means there is one!!!)... call you for your birthday, are proud to promote their company and colleagues... and at the end of the day, the numbers come and the shareholders are happy... It is simple, isn’t it? Better now than I did in the past. The more you feel yourself comfortable, the best you can manage you lifetime and share. The secret? To have a good management team. What advice would you give to someone else starting up/ working in this career? Work hard, stay pragmatic, listen to the technicians but decide with your logic. Give consideration to your customer and be tough but right. With your staff be tough at work but close to them if anything happened in their life to help them if it is possible.Consider the high level management not as a position but as a mean to achieve goals by applying your ideas. My grand daughter, my husband, my golf and all the list I have got and will never get enough time for.